Beverly Hill, California, USA. 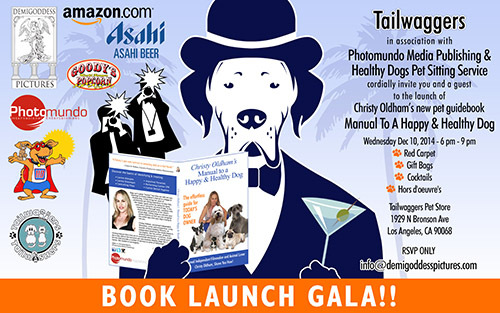 15 December, 2014 – Beverly Hill, California based Independent filmmaker, entrepreneur and first time author, Christy Oldham, has announced the launch of her maiden book titled, "Christy Oldham's Manual To A Happy & Healthy Dog" on Amazon.com under the Non­Fiction genre. With a tagline that reads "The Effortless Guide For Today's Dog Owner," Christy's book is expected to be a delight to anyone who loves dogs as it features comprehensive instructions to take better care of these wonderful animals. The book features several straight forward methods to overcome one's fears around dogs, as well as the secret to bonding with them. "Christy Oldham's Manual To A Happy & Healthy Dog" is a non­fiction work for people of all ages who love dogs. In this first book of hers, the author showcases how one can learn to take better care of their dog even if they have never owned a dog before. The extremely informative guide makes the reader realize that even if they do not know anything about dogs they still can connect and have fun with them. Released under the banner of Photomundo Publishing, Christy Oldham's "Christy Oldham's Manual To A Happy & Healthy Dog" is a 114 pages book that is available in paperback format on Amazon for just $15.95. With early reviews confirming the book to be worth much more than its meager price, true canine lovers can order the book from the following URL: http://goo.gl/iOaC4M. "Dogs are truly emotive animals who are powerful and sensitive at the same time. They can be truly loving and graceful when at peace, and can be as dangerous if and when provoked. Dogs are also said to be amongst the most loyal friends of human beings," says Christy Oldham, the author of the book. "Anyone who owns or dreams of owning a dog, or loves playing with or simply being around them, my book can provide rare insights into a dog's mind and heart, enabling you to develop a connect with your dog and make owning one all the more enjoyable and safe!" 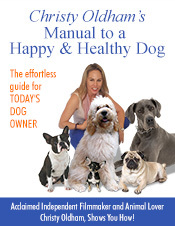 In Christy Oldham’s Manual to a Happy & Healthy Dog, readers will find answers to the questions or concerns that one's dog isn't able to ask or tell about their health. The book covers everything from choosing the best diet to reading the signs of illness, controlling fleas, diagnosing different types of allergies and performing canine CPR. Christy brings her years of professional pet sitting experience to help her readers speak canine by taking the guess work out of caring for any kind of dog. In this reassuring and thorough book, complete with illustrations and pictures of her client’s actual dogs, Christy helps to cultivate one's canine instincts so that they can recognize the subtle signs that one's dog is trying to tell them. "I truly believe that if one makes the effort, they can connect to and almost hear their dog speak to them! I am confident that anyone who is interested in dogs will find this book an extremely fascinating way to learn about them," added the author. "Readers across all ages having an interest in knowing more about how to take better care of their dogs will definitely find my new book to be a great resource!" fiction genre in recent months, "Christy Oldham's Manual To A Happy & Healthy Dog" is expected to emerge as a must­read book for anyone who finds dogs intriguing enough and is keen on learning more about them including Pet Sitters and Pet Owners. "I, myself, love dogs and have been successfully working and caring for them for several years. They are perhaps the most inspiring, faithful and loving amongst all animals. I have deep respect and love for these beautiful creatures and wanted to share the knowledge and insights I have developed through being close to them," speaking on the inspiration for her new book, the author says. "Being a dog lover myself, I found it easy to write about them. This is my first book and I sincerely hope that my readers will enjoy it as much as I did writing it!" The book is expected to particularly resonate with everyone who owns a dog or would like to own one someday. The book has been presented in a way that makes it equally interesting to readers of all ages who might have even the slightest of interest in these magnificent animals. Christy Oldham, acclaimed Independent filmmaker, writer and entrepreneur, is of Brythonic­Celtic ancestry. Raised in Southern Louisiana, she is the founder of Demi Goddess Pictures, an Independent American film production company based in Los Angeles, California. She has written, produced, directed and starred in numerous, award winning feature films that are in worldwide distribution. Oldham’s latest feature film, ‘Barracuda’, a vigilante thriller that was released in 2013, made rounds at various film festivals and gained critical acclaim which earned her 3 Best Picture awards at The Mississippi International Film Festival, The Flint Film Festival and The Burbank International Film Festival. 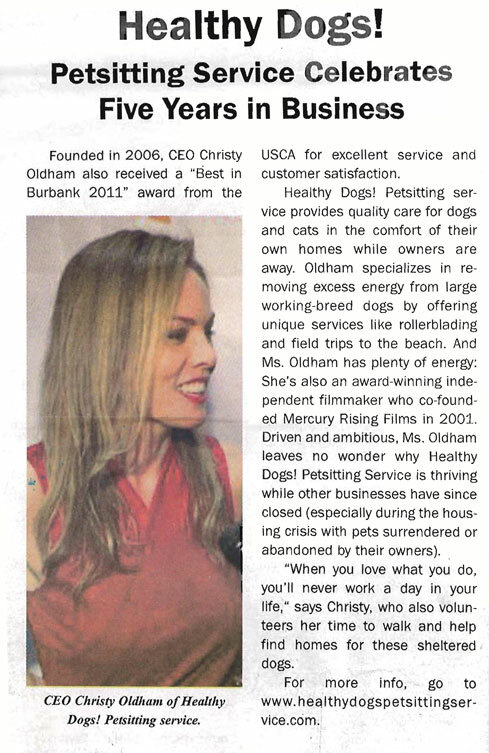 Petcare Owner -The U.S. Commerce Association (USCA) presented Christy Oldham, CEO of Healthy Dogs! 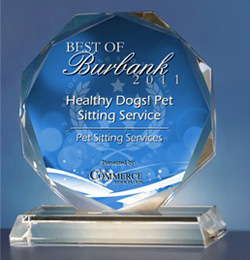 Petsitting Service, the prestigious 'Best of Burbank 2011' award for excellence in customer (and pets) satisfaction. Now celebrating 5 years in business, Healthy Dogs! Petsitting service continues to grow strongly as a quality and reliable pet care service for pets in the comfort of their own homes while the owner is away. "I am so grateful that I get to do what I love to do when not doing what I love to do" laughs the multifaceted business woman/ artist. Originally from South Louisiana, Ms. Oldham is also an award-winning filmmaker who co-founded Mercury Rising Films in 2001. " Being in the company of dogs and making movies is a blessing" she says. (Her feature film, 'Barracuda', was nominated for Best Picture at the 2011 Burbank International Film Festival last September and is currently screening on the 2012 film festival circuit - www.barracudamovie.tv) Catering to busy film industry professionals, Christy is often seen on the Warner Brothers lot, walking dogs. "Call me filmmaker or dogwalker- I answer to both" she says.